2018 is expected to be another big year for Bitcoin. But what's next for the cryptocurrency in New England? The sounds and smells of sizzling steak are what Rio Brazilian Steakhouse in Plymouth, Massachusetts, is known for. But a year ago, the owners of the churrascaria decided to dabble in the hottest currency, Bitcoin. "The main reason was to get new customers at the door," said Vagmar Stoffel, co-owner of Rio Brazilian Steakhouse. Dinner for two of unlimited flank steak, short rib, chicken wings and more costs about .0031187 Bitcoin. Of course, as the value of the cryptocurrency fluctuates, so does the exchange rate for Bitcoin to a dollar. Stoffel says only and a handful of tourists have paid in Bitcoin, but he's got the capability and sees the opportunity. "It's equal, the same thing as a dollar. Once the community starts using Bitcoin it'll be good. It's a way to get different customers. Every day that passes new people know about the Bitcoin," said Stoffel. That last part is definitely true. In 2017, the crypto-currency craze swept the country. The price soared over the course of the year - nearly reaching $20,000 on Dec. 17. There was a "crash" a few days later where the price dropped 22 percent, but overall, it's been a banner year for the cryptocurrency. Even with all of the news, hype and interest surrounding first cryptocurrency, most people don't really know the first thing about it. That's understandable. According to Bentley professor Leonard Rosenthal, Bitcoin is not a security like a stock that would be regulated by the Securities and Exchange Commission. But it is an investment instrument. "Bitcoin is first digital or crypto or virtual currency, created by digital miners who solve 'puzzles' of ever-increasing difficulty. Whenever the miners solve one these puzzles, they are awarded a block, which has bitcoins associated with it," said Rosenthal. "The block is kept track of in a blockchain, a digital ledger. One of the features of bitcoins, as opposed to money issued by governments, is that there is a limit on the amount that can be issued. This is enforced by making the puzzles increasingly difficult so that it gets harder over to increase the number of bitcoins in 'circulation.'" All Bitcoins are expected to be found by 2041. Rosenthal says that scarcity is a large reason for the "speculative mania" that has increased the value of Bitcoin. "Some of the people who are buying Bitcoin don't believe in money issued by governments anymore because they feel it has become debased by too much of it being issued," Rosenthal said. "So the people who started investing in Bitcoin because they did not like governments increasing money without any limit have now seen the value of the cryptocurrency." 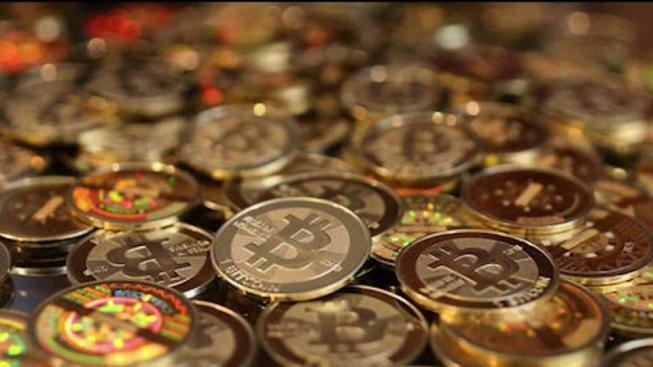 Cambridge is quickly becoming an incubator for Bitcoin and cryptocurrency research. At MIT, The Digital Currency Initiative is a group of diverse researchers working to bring Bitcoin to the mainstream. "There is a good community at MIT," said Robleh Ali from the DCI. "At the DCI, we are focusing on research, which will make cryptocurrency more accessible and usable for a wider range of people." The Bitcoin craze is met with caution even by enthusiasts like Ali. "Bitcoin's price is volatile, do not invest money you can't afford to lose," Ali said. Massachusetts Secretary of State William Galvin has been one of the most outspoken critics of Bitcoin speculation. "This is the type of thing that attracts unsophisticated investors," Galvin said. "If you don't understand it, you better not do it." Galvin issued a statement in December saying, "Bitcoin is just the latest in a history of speculative bubbles that most often burst, leaving the average investors with a worthless product." The secretary of state's office doesn't directly regulate Bitcoin unless it involves fraud. Still, Galvin felt compelled to alert the public. He says his office is looking into companies that are offering "Initial Coin Offerings." "We have some entities out there that are seeking investors to develop an alternative Bitcoin," Galvin said. Overall, Galvin says the lack of government regulations that makes Bitcoin to appealing educated investors is what makes it risky for the average investor. "There is no government here, there is no bitcoin authority, that if everything goes down is going to give you your money back. This is not like the FDIC. There is nothing here," Galvin said. Still, expect to see hype surrounding Bitcoin and "blockchain" to continue in Boston and around the country. MIT has a Bitcoin Expo scheduled for March 2018 for people who love Bitcoin. There is a bootcamp for financiers and managers being held on Valentine's Day, and a meet-up for Bitcoin enthusiasts every month in Cambridge offering easy access for beginners. The combination of financial companies and universities seem to make Bitcoin and Boston a perfect match. "Professors at universities in different disciplines from computer sciences to economics and finance to marketing are no doubt studying and analyzing the impact of bitcoin on investing, retailing and its current and potential impact on the economy," said Rosenthal. "No doubt, there are more uses involving financial transactions."